Nested words introduced by Alur and Madhusudan are used to capture structures with both linear and hierarchical order, e.g. XML documents, without losing valuable closure properties. Furthermore, Alur and Madhusudan introduced automata and equivalent logics for both finite and infinite nested words, thus extending Büchi’s theorem to nested words. Recently, average and discounted computations of weights in quantitative systems found much interest. 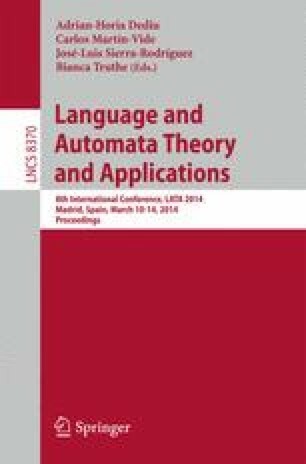 Here, we will introduce and investigate weighted automata models and weighted MSO logics for infinite nested words. As weight structures we consider valuation monoids which incorporate average and discounted computations of weights as well as the classical semirings. We show that under suitable assumptions, two resp. three fragments of our weighted logics can be transformed into each other. Moreover, we show that the logic fragments have the same expressive power as weighted nested word automata.